Mitsubishi Corporation is a global integrated business enterprise that develops and operates businesses across many industries. 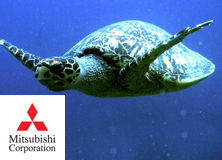 The Earthwatch and Mitsubishi relationship began in 1993, making the company one of Earthwatch’s first corporate partners. 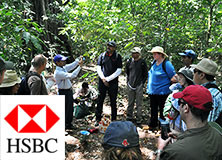 The partnership was initially established through the Mitsubishi Corporation Fund for Europe and Africa (MCFEA) – a charitable trust established by the company to promote environmental and social projects in those regions – and an engagement program for employees of Mitsubishi Corporation’s offices in Europe was initiated in the same year. Since then the partnership has grown in the U.K., and new relationships have been established between Earthwatch Japan and Australia and the Mitsubishi Corporation offices in Tokyo. Delivering innovation and communication tools. The Mitsubishi Corporation has actively participated in an employee engagement program since 1993. Mitsubishi Corporation became an active member of Earthwatch’s corporate community, contributing to many workshops and seminars and playing a key role in the development of an Earthwatch corporate seminar, where over 20 organizations explored the emerging environmental challenges facing the corporate sector. 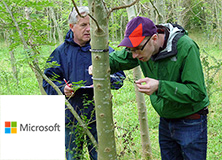 MCFEA has also been a principal sponsor of Earthwatch's annual debate since 2002 and the Public Events Program since 2008, both held at the Royal Geographical Society, London. These are key events in the Earthwatch calendar, providing an opportunity to engage the public on critical conservation issues and inspire them to take action for the environment. Mitsubishi Corporation has participated in an employee engagement program since 1993, making this the longest-running of its kind at Earthwatch. 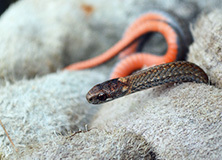 Each year, Mitsubishi Corporation International (Europe) Plc., based in London, sends five employees from Europe, the Commonwealth of Independent States, the Middle East, and Africa to participate in Earthwatch projects, helping them to learn about diverse areas of ecology and conservation and assist scientists in the collection of valuable data. 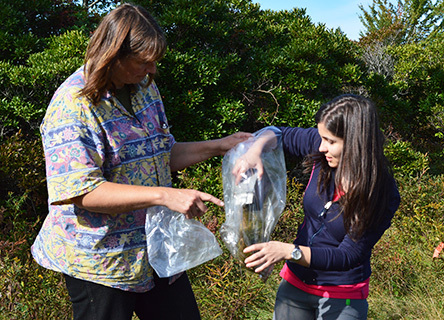 To date, over 100 employees have benefited from this personal development opportunity and have contributed their time and effort to more than 50 Earthwatch projects around the world. Through Mitsubishi Corporation’s Global Coral Reef Conservation Project, five additional employees have participated in the Earthwatch project Coral and Coastal Ecology of the Seychelles every year since 2006, where they have learned about the vital role that coral reefs play in ocean ecosystems. Since 2006, the company has supported the Earthwatch project Coral and Coastal Ecology of the Seychelles as part of their Global Coral Reef Conservation Project, which launched in 2004. The project seeks to promote conservation and increase the scientific community's knowledge of coral reefs, which have high levels of biodiversity, provide a multitude of benefits to humankind, and are particularly sensitive to changes in the Earth's climate. Earthwatch Japan also supports the company’s coral reef conservation project in Okinawa, and since 2011, Earthwatch Australia and Mitsubishi Corporation have been researching coral diseases in the Great Barrier Reef. 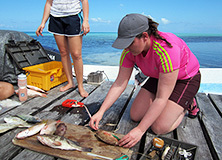 Mitsubishi employees participating in the Coral and Coastal Ecology Project in the Seychelles. Each year, Mitsubishi Corporation International (Europe) Plc. sends five employees from Europe, the Commonwealth of Independent States, the Middle East, and Africa to participate in Earthwatch projects.